In the annals of guitar stompboxes, there are no tones more elusive than the mystical swirls of a modulation pedal and the warm roar of an overdrive box. Builders big and small put their stamp on these two classic designs, tweaking circuits and then some. As evidence, we offer two new boutique pedals – the Effectrode Tube-Vibe and Goran Fat Boy overdrive. 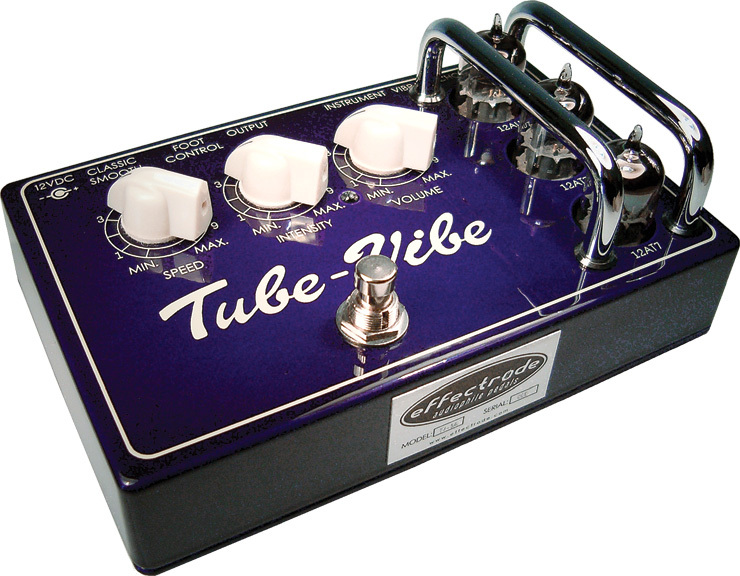 The Effectrode Tube-Vibe is an inventive redesign of the (in)famous Uni-Vibe. 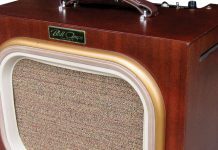 As the name suggests, the most noticeable innovation is its use of tubes as a central component of the circuit, providing low noise and tons of headroom. The tubes are protected by two metal bars so that they can’t be smashed by an errant footstomp, and are interchangeable with other 9-pin tubes. 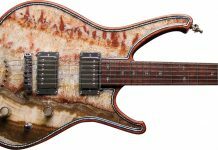 The design was further revamped with Effectrode’s true-bypass switching system and a 1-meg input, which ensures a clear signal path and that pickups won’t overload. 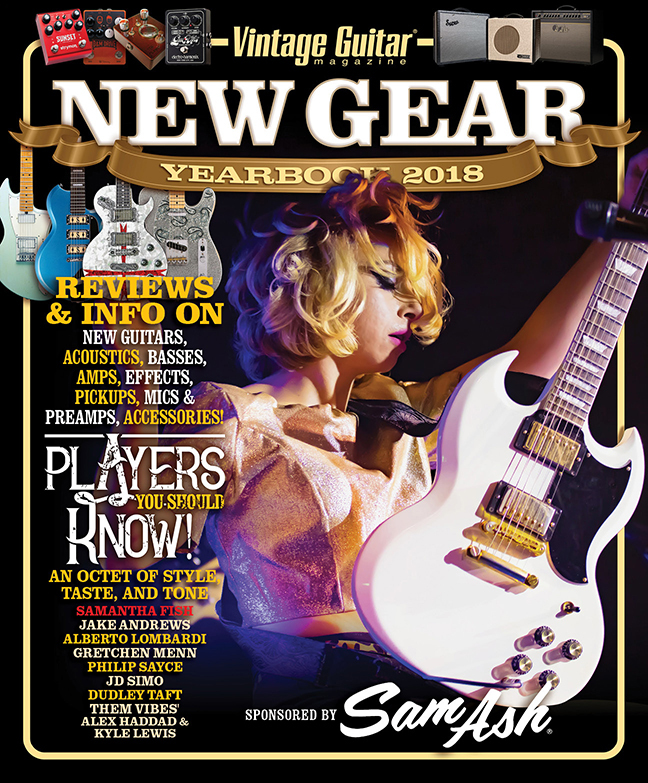 Other cool features include a Chorus/Vibrato switch and a Classic/Smooth switch that alternates between a more-classic Uni-Vibe tone and a more spacey/surreal sound. Additionally, the two low-frequency oscillators (LFOs) can be frozen at specific frequency notches to work as a filter. The Tube-Vibe also has an LED that flashes at the same tempo of the LFOs, so guitarists can match the Tube-Vibe to the tempo they’re playing. The Tube-Vibe has three knobs – Speed (to control the rate of the LFOs), Intensity (depth of the LFOs), and Volume. Along the back are the input for the power supply, a jack for an expression pedal, the input and output jacks, as well the Chorus/Vibrato and Classic/Smooth switches. We tested the Tube-Vibe with a humbucker-equipped guitar through a tube amp and a modeling amp. With the Chorus and Classic positions selected (to establish a baseline to the original UniVibe), we experienced a terrifically warm, lush vibe perfectly suited to knocking out Robin Trower’s “Bridge of Sighs” or Hendrix’s “Machine Gun.” The Speed and Intensity controls have enough range for everything from subtly nuanced modulation for clean arpeggios to psychedelic freakouts. 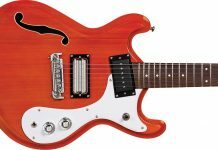 Flipping on the Vibrato mode reveals cool pitch-bending warbles that make any lick unique and refreshing. 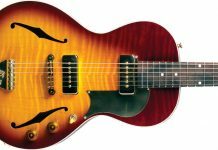 The Smooth mode is a nice complement to the Classic mode’s thick, marshy vibe, bringing a lighter, dreamier modulation to the table that is excellent for odd, dissonant chording. 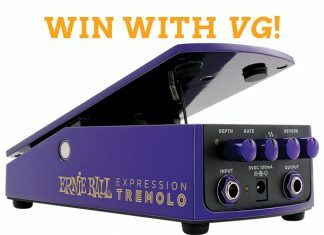 We also had fun using an expression pedal to vary the speed and add further dynamics to our riffs. The Tube-Vibe is a cool tweak on the original UniVibe, bringing both innovation and improved tone to a revered design. It brings a multitude of options to the table and the runs the spectrum of the phase based modulation, it’s definitely a must have for those in the know about vibe pedals. 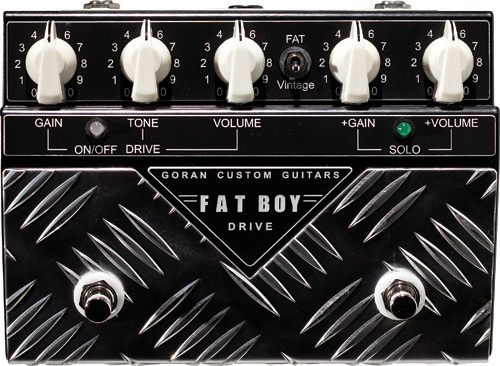 The Fat Boy, from Goran Custom Guitars, is a dual-mode overdrive designed to drive clean amps into heavier territory. Its pressed-steel construction hints at durability, while the control layout is smart and professional. Internal components are equally impressive, including Black Gate electrolytic capacitors, new-old stock Allen Bradley composite resistors, and a military-grade op-amp. Atop the Fat Boy are the controls for the two channels. For the Drive Channel, they are Gain, Tone, and Volume. The Solo Channel has knobs Gain and Volume. 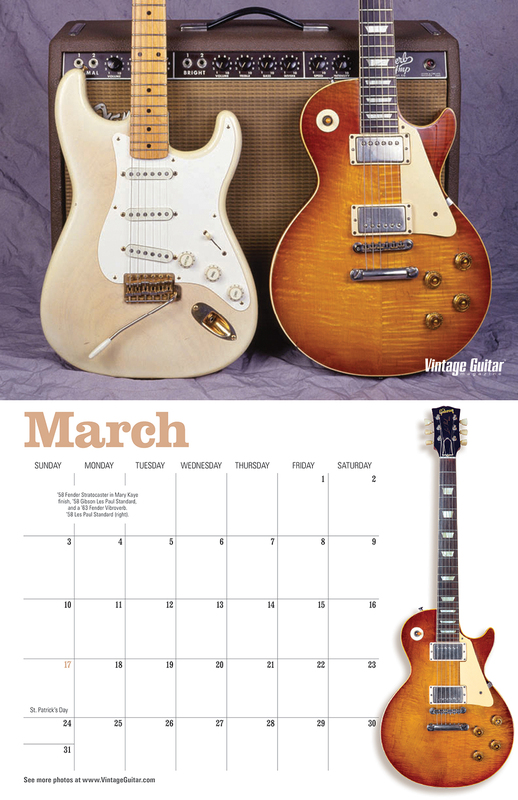 Between the two sets, a switch selects Fat or Vintage modes; Fat is reminiscent of JCM-series Marshall amps, while Vintage recalls the classic overdrive of early Marshalls and Fender tweed amps. The Fat Boy has two stompswitches; one activates the Drive channel, the other Solo mode. These are not separate entities, but rather, interactive modes. 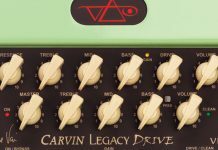 Drive serves as the base tone, while Solo acts as a boost, giving the Drive more gain, more volume, or both. We started testing the Fat Boy using a humbucker-equipped guitar plugged into an amp set clean. 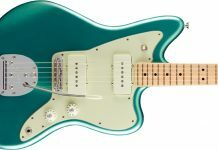 The Vintage mode did a very good job emulating the sound of early Marshalls and Fenders while not sacrificing depth, as many such pedals do. From its lowest gain setting to the highest, it was just tight enough for rhythm work without losing the sonic fluidity characterized by the vintage amps. The higher gain stages seemed more British in character, while lower gain settings had Fender grit and rumble. One of the great things about the two-mode system is that one can have a very low gain setting on the Drive channel, then kick on the Solo mode and add an extraordinary amount of gain and sustain for lead playing without sacrificing tone. The Fat mode delivers on its promise of JCM-era overdrive, and there’s more than a modest difference between it and the Vintage mode. 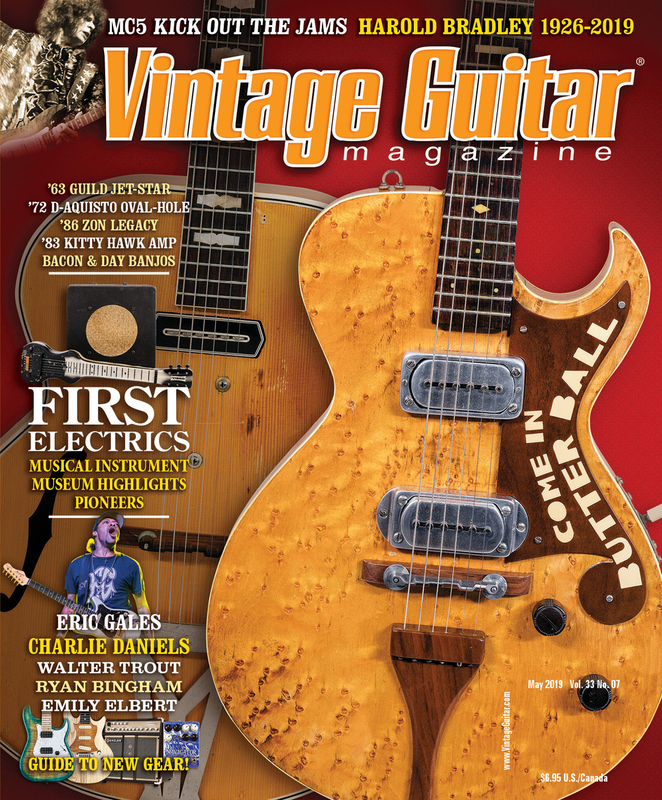 Where Vintage is loose and more present in the midrange, Fat is super-tight, with a classic scooped sound. Fat definitely takes you back to the ’80s (but without glitter and hairspray!) with a sound that’s pure testosterone. 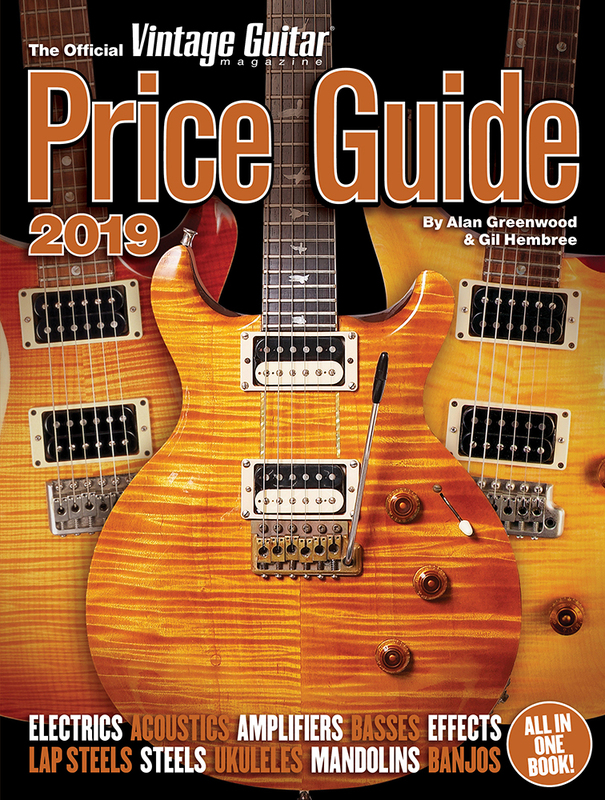 It’ll definitely put some hair on your chest when you kick in the solo mode, which heaps on even more gain for explosive rhythm riffs and molten solos.